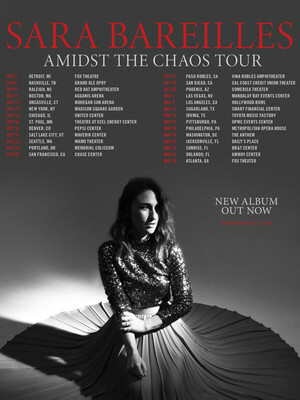 Amidst the Chaos, Sara Bareilles tours! The multi-instrumentalist, singer-songwriter and now Broadway icon, Sara Bareilles first burst onto the scene with 2007's single Love Song. She's since firmly established herself as one of American music's top female artists, acclaimed for her honest and direct lyrics married to an immediately catchy pop-soul sound. Catch her on tour this fall in support of her sixth studio album Amidst The Chaos. Leading with the singles 'Fire' and 'Armor', Amidst the Chaos, comes off the back of a busy few years for the singer-songwriter that has seen Bareilles make her Broadway debut, first as one of the creators of the hit musical Waitress and then as the main character! Don't miss your chance to see this gem of an artist live! Seen Sara Bareilles? Loved it? Hated it? Sound good to you? 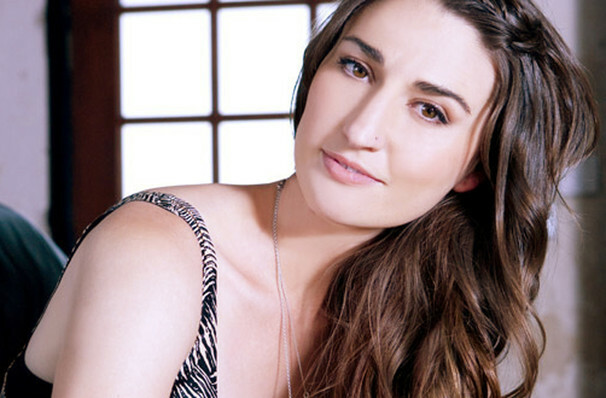 Share this page on social media and let your friends know about Sara Bareilles at Hollywood Bowl. Please note: The term Hollywood Bowl and/or Sara Bareilles as well as all associated graphics, logos, and/or other trademarks, tradenames or copyrights are the property of the Hollywood Bowl and/or Sara Bareilles and are used herein for factual descriptive purposes only. We are in no way associated with or authorized by the Hollywood Bowl and/or Sara Bareilles and neither that entity nor any of its affiliates have licensed or endorsed us to sell tickets, goods and or services in conjunction with their events.